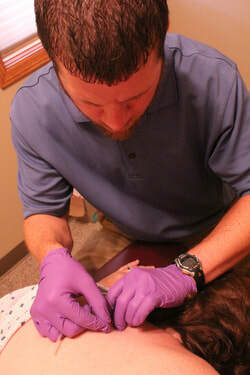 Dry needling is a procedure in which a sterile, disposable, solid filament needle is inserted into the skin and muscle directly at a myofascial trigger point. A myofascial trigger point consists of multiple contraction knots, which are related to the production and maintenance of the pain cycle. This is the amazing part: dry needling can be helpful for such a huge variety of issues, that it's impossible to list them all.